Let our floral designs be a reflection of you on your big day…. As a family owned and operated business, we pride ourselves on providing superior service and value to our customers. Cristina’s Flowers is a home based business and because of our low overhead we are able to offer competitive rates. Established in 1995, Cristina’s Flowers offers full floral services serving the Los Angeles and Orange County areas. For the initial appointment, we will ask you to bring ideas to the meeting. Include magazine clips of floral arrangements you like, as well as photos of friends' wedding flowers that impressed you. We will then develop from those ideas an event that is uniquely your own. Cristina's Flowers will do whatever it takes to make your wedding a success and flowers designed by our team will exceed your expectations. 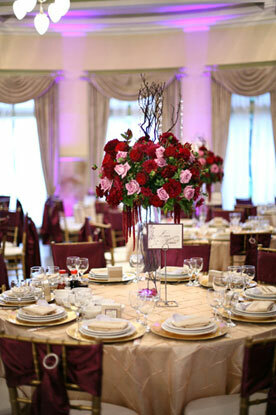 We are passionate about floral design and we look forward to making the dreams of your special day into a reality! !